Looks like the cafeteria at work made Super Bowl cookies with the logos of the Giants and Patriots. 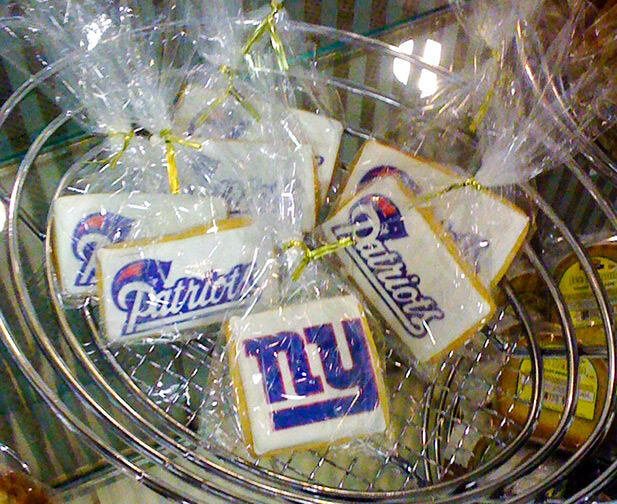 Is it a big surprise that most of the Giants cookies were bought, while a lot of the Patriots weren’t? I find it interesting because, due to the sizes of the logos, the Patriots cookies are a better value since you get more cookie goodness for the same price.